Frisian Flag is the country's prominent milk company. 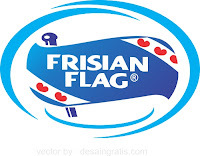 Commonly referred to as Susu Bendera by Indonesians, Frisian Flag has lead the market.It all started in 1922 with the "Friesche Vlag" milk brand imported from Cooperative Condensfabriek Friesland – now Royal FrieslandCampina, the world's largest dairy cooperative based in the Netherlands with 16,000 farmer-members across 3 countries and 22,000 employees present in over 100 markets around the world. Will be Trained and Developed by the Specialist, be involved in hands-on project and be able to deal with competitive business environment, especially in Trade Marketing (Sales) section. Preferably Staff (non-management & non-supervisor)s specializing in Sales - Corporate or equivalent. Job role in Distributor/Channel Sales or equivalent.